I am animal mad in every sense of the word. I physically cannot walk past a dog in the street without stroking it, I stop the car to talk to the horses and cows in fields adjoining roads, and despite being allergic to cats, cannot fail to tickle their heads. That said, take me underwater and I am a different person. 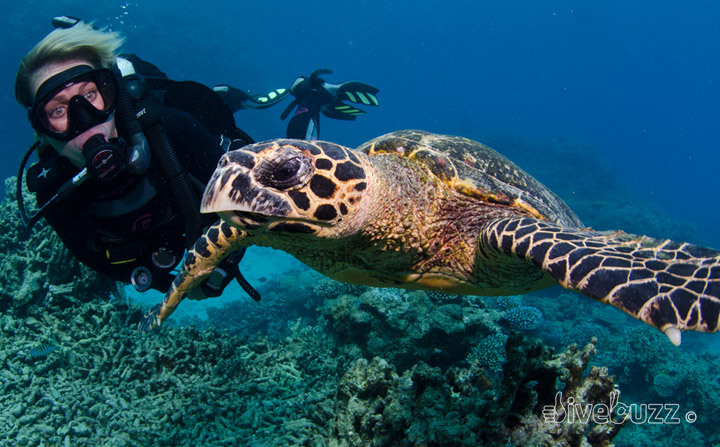 I am a firm believer in interacting responsibly with the wildlife in our underwater world. The amount of times I have been asked “how do I get a puffer fish to puff up” or “how do you make the sea cucumbers squirt” or heard comments such as “I’d love to ride a whale shark” or “riding the sea turtles was cool in such a place” is beyond comprehension. I can vouch that, for the most part, these desires are not anything more than miss-advised or stem from a simple lack of awareness that is generally no fault of the diver. Knowledge and education is power. As a dive professional, I see it as my duty to educate people to exhibit role model behavior regarding marine interactions in the water. I only wish that many other dive professionals, and indeed divers in general, would follow in my steps and stop making those puffer fish puff up. Now before I go on, I am not whiter than white. I have been known to pick up the odd sea cucumber, of course without making it squirt. As a purist, I should really stop doing this too. Nobody is perfect though, but I do really believe that the best interactions with marine wildlife are passive, non-invasive and do not in any way stress the animal out. Humans were not designed to be underwater. We make lots of noise, lots of bubbles and the wildlife generally don’t like it. In order to get some closer interactions with the wildlife, you must counteract these negatives by being as relaxed as possible and above all, GO SLOW. Guaranteed, the slower you go, the more you will see. If you chase around like a mad thing everything will be scared away. Stop & take a break! There is nothing that I like better on a dive than to stop diving! Find a good spot in the sand and take a break. Once you start looking at your spot you will be amazed at what there is to see, stuff that you have previously simply swam past without even noticing. Be warned, however, that if there are other groups of divers in the water, you are likely to be accosted. I have had several concerned divers come check on me thinking I was unconscious! If you see something that you would like to get a little closer to, edge forward towards the animal slowly, ensuring that he can clearly see you. This is a great technique for resting sharks or stingrays on the sand. Slowly, slowly is the key here, ensuring that the animal gets used to you each time before you attempt to edge a little closer. If you come across a cleaning station, stop, relax and stay as still as you can. This is exactly what fish do when they want to be cleaned, they hover motionlessly awaiting a favor from the friendly cleaner wrasse. It is an amazing experience to have wrasse from the cleaning station attempt to clean you, swimming around your ears, trying to find your gills! Whatever you do, do not chase fish. After all, they are fish and therefore innately better at swimming than us! By chasing an animal in the water you will never get close, he will simply swim away. I will never forget my first Sunfish (Mola Mola) interaction in Indonesia where, after initially spotting this unique animal, he rapidly disappeared as a result of a diver chasing him for a photograph. An extremely annoying experience to say the least. Never chase and never position yourself above a turtle. Think about where you are in the water. Are you potentially posing a threat to your subject? Are you perhaps in between the animal and their nest / juveniles? Are you blocking access to air for the turtle by being directly above him? Any of these will cause the animal to either fight or flee, so beware. 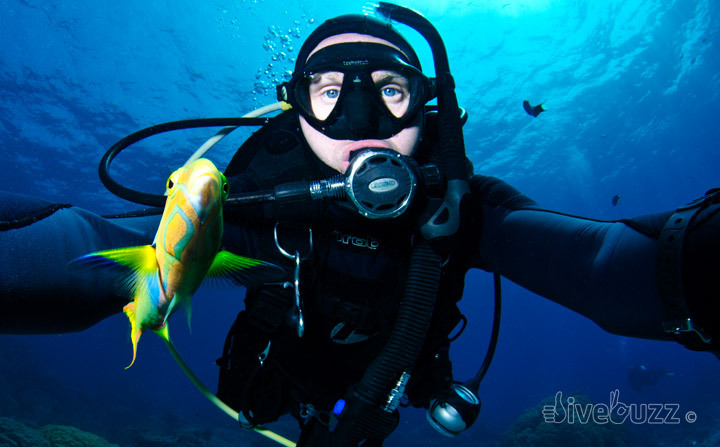 At night, divers are perhaps even more intrusive to the marine world. Not only are we noisy and blow bubbles, but we also have bright torches shining in all directions. Try diving with your torch off for a while (or turned in towards your chest if you want to avoid flooding your torch). Your eyes will soon get accustomed to the low light and the marine life will come much closer than with your torch on. Get ready to turn your torch back on when you see something cool! Give some of these tips a try. I can guarantee you will have some truly amazing, close-up experiences with wildlife exhibiting their natural behaviour. Now surely that beats a puffed up puffer fish any day? yes marine animals arent a new form of touchy feely entertainment accessible once you can dive !